Steve’s breakdown: The changes keep coming over at Ford. This time it’s about Lincoln and their model names. And who knows, they may even come up with something new. Even better, maybe you’ll come up with something new. It’s a new ballgame with Kumar Galhotra as CMO. 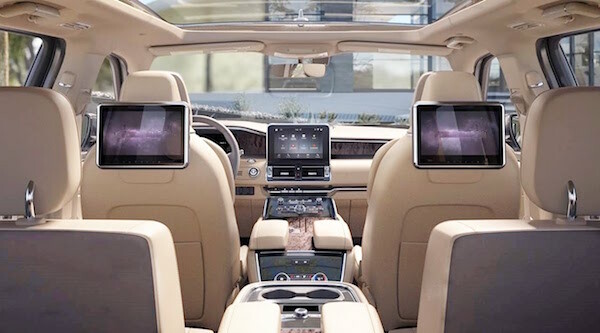 DEARBORN, MI: With the return of Continental and the emergence of the all-new 2018 Navigator as the defacto Lincoln flagship, it doesn’t take a cryptographer to read the writing on the wall: Lincoln is re-embracing proper model names. During the 2018 Lincoln Navigator first drive press launch, Lincoln group vice president (and now also Ford’s chief marketing officer) Kumar Galhotra confirmed that the switch to Continental from what had been the MKS in Lincoln’s lineup has indeed been a positive one as increased name recognition has successfully drawn more attention to the large sedan. However, would a naming switch to something that isn’t as recognizable be as successful for another model line? As it’s hard to see those internal discussions somehow ending with the conclusion that the current MK-whatever system is better, it seems like a safe assumption that the change will eventually happen. If so, perhaps it would occur when the MKC and MKX are inevitably given an update and facelift to match the Continental and Navigator. The already facelifted MKZ? Ah, who knows? Lincoln Aviator: Seems like a no-brainer. The Explorer-based SUV from the 2000s was a flop, but the name was fantastic. Lincoln Zephyr: The original MKZ actually started life as the Zephyr. A switch back wouldn’t be crazy. Lincoln Cosmopolitan: A bit crusty and indicative of the mid-century period, but then so is Continental. This was the Lincoln flagship in the post-war period. Lincoln Blackwood: A ridiculous attempt at a pickup from the 1990s. Good name, though. Lincoln Versailles: This was a “midsize” model introduced in the late 1970s. An elegant name, but as certain towns in Indiana and Missouri prove, you will have to teach people not to pronounce it Ver-sales. Lincoln Mark IX: The last Lincoln “Mark” car was the Mark XIII from the 1990s. Traditionally, Mark cars were coupes, a body style that seems very unlikely for modern Lincoln. Maybe an X6-like SUV/coupe? Lincoln Capri: This replaced the Cosmopolitan in the early 1950s as the flagship, though too many people probably associate it with Europe’s Ford Capri or Mercury’s bizarre convertible of the 1990s. Lincoln Futura: This was actually a concept car rather than a production model, but that exact concept car was actually turned into Adam West’s Batmobile. Probably way too ’60s sounding. Lincoln Town Car: No damn way. Of course, Lincoln could also dig into the greater Ford Motor Company’s back catalog. Lincoln Galaxie, Lincoln Comet and Lincoln Starliner having a certain adventurous (albeit spacey) ring to them. Then again, Lincoln could also just come up with new names. Fancy that.